The historic Italian cured meats company offers three delicious variations of its panini, all prepared with 100% Italian made products. 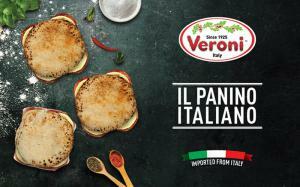 CORREGGIO, ITALY, April 3, 2019 /EINPresswire.com/ -- Veroni, an Italian cured meats company founded in Emilia-Romagna in 1925 and present in the USA since 2016, is launching a new, exquisite line of Italian panini. 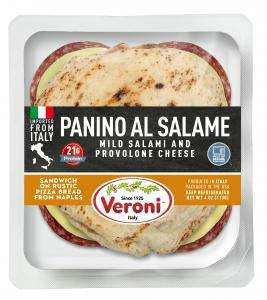 The range of Panino Italiano is available in three variants of cold cuts: mild salami, spicy salami and prosciutto. 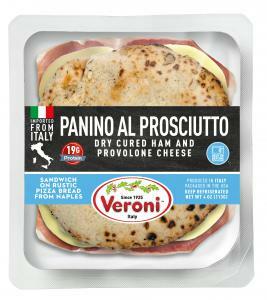 Veroni produces all of its cold cuts in Italy and imports them into the United States: its state-of-the-art plant in Logan, NJ slices the salami and prosciutto and assembles them with 100% Italian Provolone Cheese and Naples’ rustic pizza-bread.